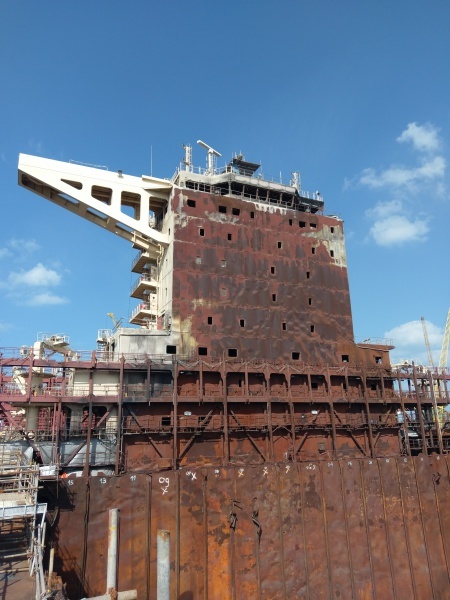 This is how her damaged superstructure looks like these days, at Dubai Dry Docks. Photo by (...), used with permission. Yes its a sad sight to see a vessle with fire damage. Worse thing that can happpen to you at sea is fire. Not always easily contained. Some of the crew lost were quite young I believe just begining their career at sea! Sad picture Vlad and very sad the lives the fire took. Thanks for your comment, rarcand. I will post some more brutal pics of her damage later on. This photo has been shown 3,925 times since it was added to the site.